Friends since kindergarten, Mike Tatge and Brad Garlin were fortunate enough to begin working in digital advertising at its birth in 1998. Their entrepreneurial spirit guided them through the internet bubble burst and led them to launch JumpFly in 2003. Tatge and Garlin took a leap of faith on this brand new industry and created JumpFly to help businesses capitalize on PPC advertising and gain visibility and exposure online. 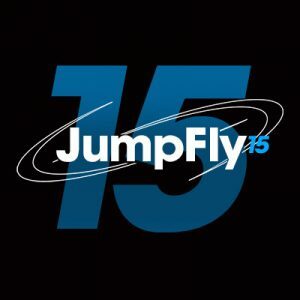 Since 2003, JumpFly has expanded, both in space and employees. The office has gone from the basement of a townhouse to a large commercial space with a brand-new satellite office in downtown Chicago. The team at JumpFly has expanded from the original two founders to 38 seasoned digital advertising experts. No longer a small start-up, the last 15 years has seen JumpFly become one of the premier digital advertising management companies in the world. Under the leadership of current President, Michael Marchese, JumpFly has expanded their Social Media Marketing department as well as their Amazon Advertising division. They have added call tracking to help their clients gain more insight into their campaigns and feed management to help get the most out of Shopping campaigns. They have also developed a proprietary internal reporting and account management dashboard to manage digital advertising accounts on a level never before seen in the industry. Everything JumpFly does is guided by the principal of helping their clients, regardless of size or industry, to get the most out of their digital marketing dollars. The future for the JumpFly team looks bright and they will continue to grow and provide expert-level service to their clients for the next 15 years and beyond.